T.H. Robsjohn-Gibbings was a 1950s design leader. 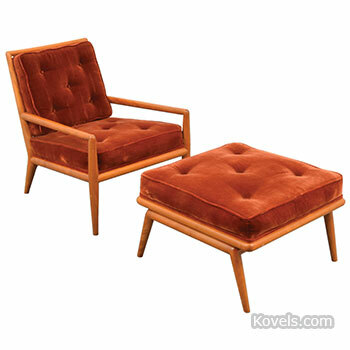 This chair and ottoman designed by Robsjohn-Gibbings for Widdicomb have the wide lines and rectangular angles that were common in mid-century design. See more photos of more Robsjohn-Gibbings pieces with prices. Barbie turns 60 next month and a recent sale featured Barbie dolls, accessories and toys. 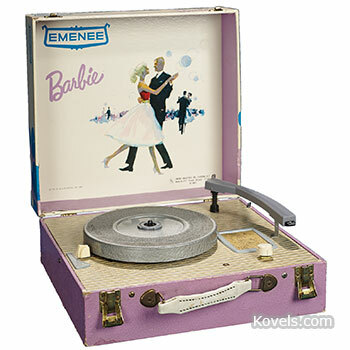 This record player was made in 1961, just two years after the first Barbie doll. It's still in working condition. Dance over to the article for more Barbie photos and prices. 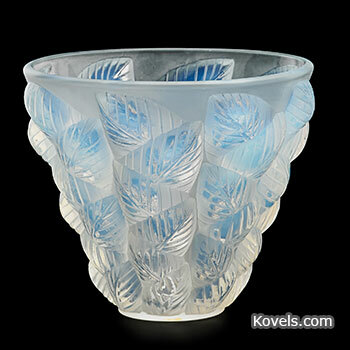 The end of the 19th and beginning of the 20th centuries marked the “Brilliant Period” of cut glass. Custom dictated that entire tables were set with cut glass. 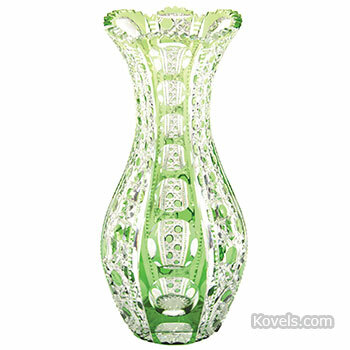 A recent sale featured examples in jewel tones like this green cut to clear Montrose vase by Dorflinger. Cut over for more prices and photos. Vintage lunch boxes featuring old television shows, movies, cartoons and musical groups revive youthful memories for collectors. Lunch boxes with pictures printed on the tin were made starting in the 1950s. Nostalgic collectors snap up examples that are in good condition and have the original thermos. Remember the “Munsters”? 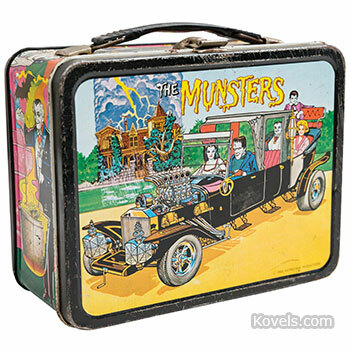 Here is their 1965 lunch box. Feast your eyes on more examples and see prices. Some collectors build their collections around events. A recent sale featured more than 400 post-mortem and mortuary items, created to sustain the memories of beloved relatives and even royalty. 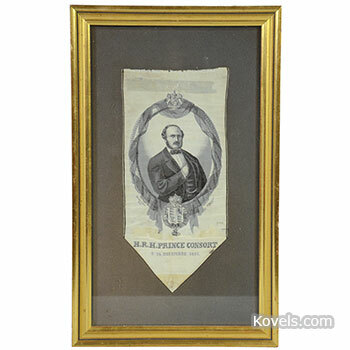 This mourning ribbon memorializes Prince Albert, Queen Victoria’s consort. See the price and more mourning items. 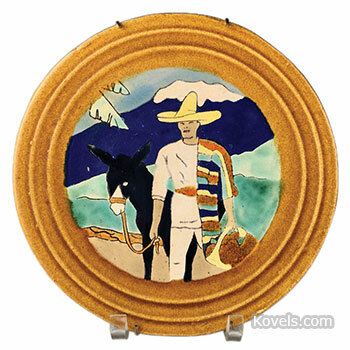 San Jose pottery gave an outlet to artists creating Mexican influenced ceramics in Texas during the first half of the 20th century. The pottery is brightly colored and often features individuals or groups in nature or working, as does this plate titled “Orange Farmer.” Check for more photos and prices. 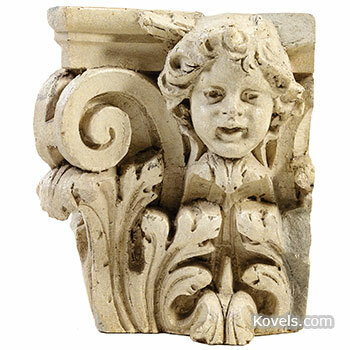 Architectural elements come with a history. 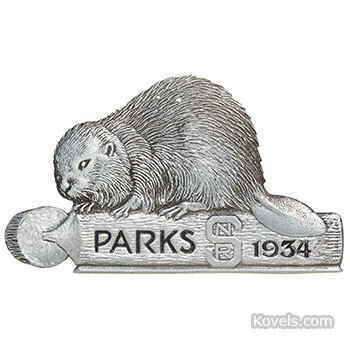 Collectors often look for items that connect to their hometown, historic buildings or time periods. 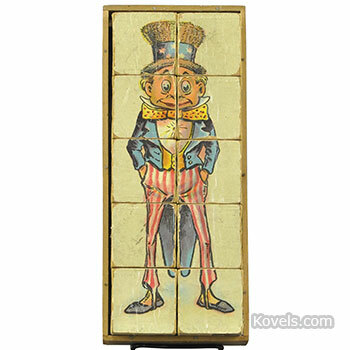 This terra-cotta molding comes from a grand old Chicago theater. Peek behind the curtain for more architectural elements and prices.